CLEAN VEHICLE HISTORY/NO ACCIDENTS REPORTED, ONE OWNER, BLUETOOTH/HANDS FREE CELL PHONE, 2 SETS OF KEYS, REMAINDER OF FACTORY WARRANTY, BACKUP CAMERA, and ONSTAR. 6-Speed Automatic Electronic with Overdrive, 4WD, and Jet Black w/Cloth Seat Trim. 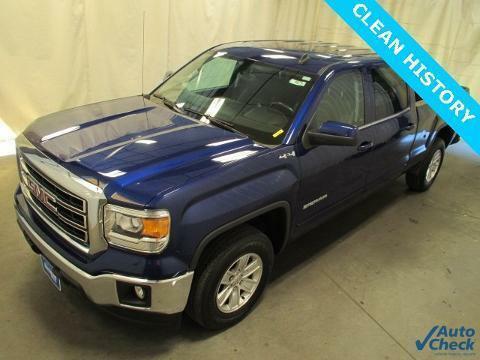 Be the talk of the town when you roll down the street in this great xxxx GMC Sierra xxxx. This Sierra xxxx is nicely equipped with features such as 2 SETS OF KEYS, 4WD, 6-Speed Automatic Electronic with Overdrive, BACKUP CAMERA, BLUETOOTH/HANDS FREE CELL PHONE, CLEAN VEHICLE HISTORY/NO ACCIDENTS REPORTED, Jet Black w/Cloth Seat Trim, ONE OWNER, ONSTAR, and REMAINDER OF FACTORY WARRANTY. This terrific GMC is one of the most sought after used vehicles on the market because it NEVER lets owners down.